The New Horizon Christian Faith Church (NHCFC) located in Mount Rainier, Maryland was established July 24, 2005, under the dynamic leadership of Dr. Charlene Monk. Dr. Monk is a visionary and trailblazer who understand the concepts of risk management. She is a woman who possesses impeccable integrity, scholarship and leadership. She has a driven commitment to perform the work of the Lord in this same manner. Dr. Monk preaches to the masses through her popular radio broadcast ministry,” A Word for Today with Dr. Charlene Monk”. The powerful broadcast of over 15 years can be heard on WPRS/Praise 104.1 FM, WYCB 1340AM and WOL 1450AM. This Pastor has an awesome legacy of 36 years of successful ministry. NHCFC was birthed out of its community outreach center and which formally opened on June 13, 2004. The preparations leading up to the grand opening was a significant challenge. Renovation costs were astronomical along with the labor, overhead, supplies, equipment and miscellaneous disbursements to bring this endeavor to fruition. Upon completion of the grand opening, the community outreach center served as a catalyst for the main source of income to sustain operability. This venue was contracted out to churches, organizations, conferences, concerts and other events. The center was God’s divine preparation of creating a greater vision for the establishment of the New Horizon Christian Faith Church, which opened its doors on July 24, 2005. Truly, this was a historic day of great celebration and rejoicing. 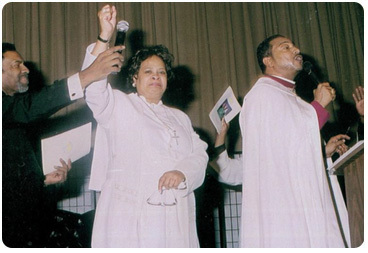 In December 2005, Dr. Monk was sanctioned with the full responsibility to carry out all duties in her role as Founder and Senior Pastor of the New Horizon Christian Faith Church. In March 2006, God blessed NHCFC with expanding the ministry, and broadening the horizons to acquire another building adjacent to the church now known as the New Horizon Hall of Elegance. This extraordinary venue for Christian events has been one of Washington Metropolitan best kept secrets. It is a premier facility that can comfortably accommodate 250 persons seated function and is fully air-conditioned and handicapped accessible. We offer our expertise in the areas of weddings, anniversaries, parties, Christian comedy, jazz and numerous other events. We offer a comprehensive array of catering and banquet services designed especially for those who wish to celebrate their nuptials and other special occasions in a faith based owned and operated facility. New Horizon Christian Faith Church has continued to maintain strength in its foundational growth, under the vision and leadership of Dr. Charlene Monk. In June 2008, two additional buildings were secured for use. These additions were the Dr. Charlene Monk Education Center and the New Horizon Hall of Missions. All buildings are being used to reach out to the Mt. Rainier communities and the surrounding Metropolitan areas – these entities has proven to be a continuous blessing to families in need of hope, support and empowerment. In 2010, the New Horizon Unique Boutique was opened as an economic development opportunity to offer residents in the Mt. Rainier community a store of new and gently used items at affordable prices. The boutique also serve many families with clothing and household goods when there is an identified need. As a result of our perseverance, stewardship and biblical practices, principles and teachings, we have been blessed to be able to acquire a five (5) building campus to the Glory and Honor of God. In November 2014, under the leadership of Dr. Charlene Monk, the New Horizon Christian Faith Church launched a new entity known as the New Horizon Christian Faith Church International. The new entity serves as a spiritual covering to churches throughout the United States. Dr. Charlene Monk now serves as the Episcopal Presiding Prelate for the New Horizon Christian Faith Church International. The covering expands to the Beauty for Ashes Ministries of Charlotte, North Carolina, the Kingdom Building Mind Ministries of Capitol Heights, Maryland and the new church plant of the New Horizon Christian Faith Church of Woodbridge, Virginia coming in March 2015. In 2015, the New Horizon Christian Faith Church will launch the General Education Development Center for residents of the Prince George’s County and surrounding communities. God is using Dr. Charlene Monk to impact millions as she serves humbly and with diligence to teach Kingdom principles and obey the great command of “Go ye into all the world, and preach the gospel to every creature,” Mark 16:15. 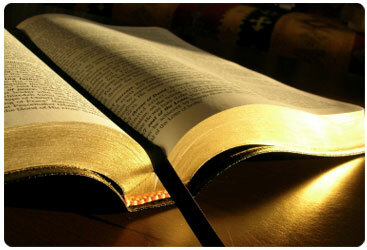 We believe that there is one God who is omnipotent, omnipresent, and omniscient. New Horizon Christian Faith Church is a ministry founded on the principles, practices and teachings of Jesus Christ. We serve and worship in the spirit of excellence with integrity and compassion for our community, our nation and our world. We have an established reputation for reaching out to the lost and broken. We are recognized for our dedication to academic and spiritual excellence and for mentoring and supporting spiritual leaders. Our church environment inspires participation, promotes personal satisfaction, and supports and molds effective leadership. The New Horizon Christian Faith Church and the Dr. Charlene Monk Ministries seek to become a global voice of spiritual and economic hope, encouragement and empowerment. Because we are building to heal!